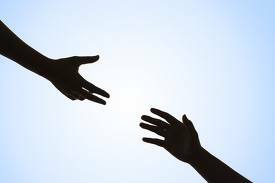 The second is what sociologist Frank Riessman called the helper principle – the idea that the act of helping benefits the helper as much (or quite often more) than the person being helped. This folk wisdom and the principles underlying it have been rigorously tested in a series of scientific studies about the effects of helping activities on long-term recovery outcomes. And you guessed it, science is confirming what people in recovery have long learned through their collective experience: If you want to achieve recovery from addiction and if you want to enhance your quality of life in recovery, reach out each day to help others achieve those same goals. Check out the references in Bill’s original blog and why not check out his website of his extensive recovery writings.